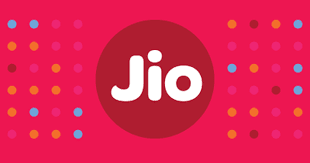 News How will Reliance Jio earn? How will Reliance Jio earn? In continuation with our previous article on Reliance Jio and why it won't kill other telecom operators (Read here), we talk about the new telco's revenues in this article. The Mukesh Ambani led group has made an astronomical investment in Reliance Jio having funded it majorly through their energy sector operations (which is a cash generating machine for them) and different sources of debt. The shareholders of RIL have been very patient throughout the last decade as they have seen no returns from the stock. All the money that belongs to them has been drained out into the new venture. So why did the shareholders let this happen? Because they expect high returns on the new investment. In the free trial period, JIO has already crosses the 10 Crore subscriber mark and till 31st March, 2017 our estimate is that JIO's subscriber base will swell to 12 crores on a conservative note. Post 31st March, the free trial ends and the real battle starts then. Airtel, Vodafone and Idea users won't readily port to JIO due to a multitude of reasons. Assuming that 50% of JIO users continue using their JIO sims, around 6 crore subscribers will be paying around Rs 303 a month for the next 12 months. Why 50%, no other subscriber will give you 30 GB a month for Rs 303 a month! And Indians are consuming astronomical amounts of data every day now. So what does this mean in revenue terms? As per our projections, JIO can hit annual revenues of Rs 51,000 Crores by March 31, 2020. Profitability and breakeven are what shareholders will look forward to. They'll desire a faster breakeven and growing profits in the coming years. But when will they breakeven and how much profits will they earn is all the management's will. We can just be sure of an ARPU (Average Revenue per User per Month) of Rs 300 to be maintained and slowly grow over time. This is a significant jump of ARPU when compared to that of Airtel's which is approximately Rs 180-200. Breakeven is anybody's guess. It makes no sense is speculaitng the breakeven when you know that it is ultimately management's call. However as per industry estimates, the breakeven will come at around Rs 30,000 Crores of revenues which translates to our calculation of approximately 90 Million active customers. Why would Management delay profits? Mukesh Ambani has his energy sector business which generates lot of free cash (To the tune of Rs 30,000 crores) and this gives him a huge war chest at his disposal. He can delay profits and incur more costs to prolong the pricing war to crush competition. For example, JIO has made it clear that they will keep voice calls free forever. Now, JIO has to pay the incumbent operators whenever a JIO user makes a call to the other operators user. JIO is expected to incur a cost of around Rs 5,000 Crores per year for the next 2 years as a result of free calling. And as the subscriber base rises, this cost will also keep rising. How much will the Shareholders expect? Shareholders have an expectation about the return on their investment. JIO has already invested close to Rs 1,50,000 Crores and is expected to further invest Rs 50,000 Crores in the coming 2 years. With a capital of Rs 2 Lakh Crores being employed in the telecom business, the investors will expect a return on equity of at least 10% (Equity is around Rs 1.5 Lakh Crores) which translates to profits of Rs 18,000 Crores. But telecom sector is a low ROE industry. Bharti Airtel's ROE hovers around 6% to 7%. So RIL investors can expect profits of Rs 9,000 Crores. How can Reliance earn Rs 9,000 Crores of profits? The telecom business is known for very high OPM (Operating profit margin) as the variable costs are low. The NPM (Net profit margin) is low because of high Depreciation & Amortisation costs of the spectrum. Take an example of Bharti Airtel which has OPM of close to 40% and NPM of just 4.5%. Assuming Reliance has a higher NPM of 8%, to earn Rs 9,000 Crores they will have to earn revenues of Rs 1.12 Lakh crores! This is more than what Bharti Airtel earns through it's Indian and African operations combined. On the profits front, Bharti Airtel earns around Rs 7,500 Crores of PAT from it's Indian operations (Standalone basis). How low should their expectations dip? Breakeven is what they should be happy with. At breakeven, RIL investors know that no more cash from the energy sector is pouring into JIO and that JIO is surviving on its own. But overtime, they will want the Rs 1.5 Lakh Crore recovered. When will the Rs 1.5 Lakh Crore be recovered? Bharti Airtel earns around Rs 7,500 Crores PAT from its Indian operations. Assuming Reliance earns the same PAT, for simplicity, we assume that the increase in earnings is offset by inflation and thus it will take them 20 years to recover their investments. So what are the realistic predictions for Reliance Jio? Shareholders have to be satisfied with attaining breakeven early into its commercial operations and have very low ROE expectations. Telecom is a capital intensive business and offers meagre returns to investors. In the above article we have used round figures and rough estimates to arrive at a bird-eye view of the sales and profit figures. The article is intended to just show the industry model of earnings and do a similar comparison for Reliance Jio and should not be used as a BUY/SELL recommendation. Please do your own research before investing. No responsibility is taken for any losses/liability arising out of decision taken based on this article. There is no guarantee of accuracy of the figures used in this article.